What is a Ketogenic Diet and Is It For Me? It’s a fact that many Americans are suffering from overweight; so much so that obesity has become the new by-word. Everyone is looking for a quick weight loss solution. There are all sorts of reasons; because it’s summer, or because a school reunion is coming up, or because you’re getting married, or just because. With all of the diets that have increased in popularity, now you can add the ketogenic diet to that list. It’s becoming a trend for people who are looking for fast, dramatic weight loss. Is a ketogenic diet safe, and is it for you? The ketogenic diet is an extremely low carb or no carb diet that forces your body into what is called a state of ketosis. By eating the no carb way molecules called ketones build up in your bloodstream. Low carb levels cause blood sugar levels to drop and this is when the body begins breaking down fat to use as energy. 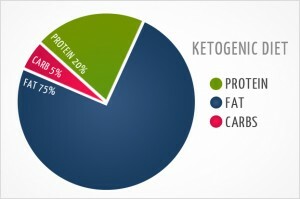 High-fat, high-protein, low carb diets such as ketogenic will get the pounds off quickly. For very overweight or obese people, this may be a good thing. But, for anyone looking to shed pounds just to do it, it can be dangerous to your health. Once your body enters ketosis, you will experience some difficulties. You will start to become very fatigued and there will be muscle loss. You’ll feel as if you are entering a starvation mode which isn’t going to help the extra weight come off any faster than a sensible low carb alternative. A ketogenic diet was first utilized many decades ago to combat epileptic seizures. With the invention of drugs to control seizures, the keto diet waned, only to be brought back recently as an extreme way to lose unwanted weight. Unless you are under a doctor’s care and this diet has been recommended specifically to address your individual health concerns, a keto diet may not be a good alternative to losing weight. There are so many good low carb ways to shed pounds. You can lower your carb intake, track what you eat through a good phone app, use gluten-free recipes and foods and use more high protein and high fiber low carb foods every day.